Protect Our National Mammal: Be a Voice For the Buffalo! 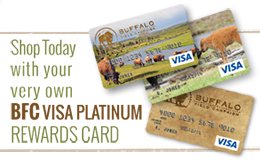 Buffalo Field Campaign invites you to become a voice for our last wild migratory bison and Our National Mammal. This educational slide show gives you everything you need to give a clear, concise and accurate presentation on the natural history and current plight of the American Bison. 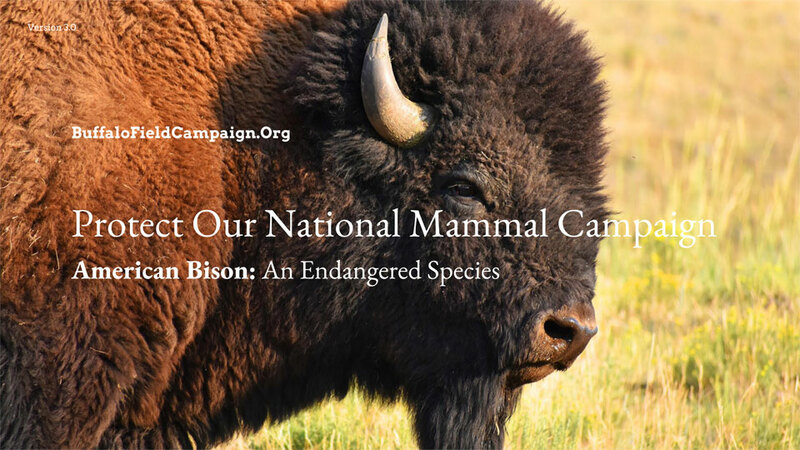 By offering this slide show, you can inspire and educate your community groups to Take Action for our country's first national mammal. We provide the Tool ~ You Create the Event! Slides 1 - 6 contain background information on this presentation. Buffalo Field Campaign would like to thank Catchafire Volunteer, Nick Ito, for his partnership and design of this outstanding outreach tool. Thank you to Patagonia for partnering with Catchafire and offering this platform to their grantees.